What an encouragement it is to be recognized in a positive way by a fellow blogger! 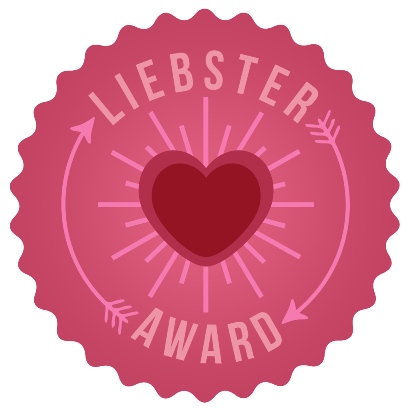 Rose at forestmnthike was so kind to award me with the LIEBSTER AWARD! She is such a sweetheart who shares the same love for the Lord that I do and her blog is fantastic! 1. I love Jesus, the one true King. 2. I have been married to my wonderful Husband for almost 4 years and we have known each other for almost 9 years. 3. I am a blessed mommy to one precious and energetic son. 4. I enjoy running on dirt trails away from the busy city noise. 5. I’m thankful for coffee. 6. I’ve been baking since I was a teenager. 7. Daisies make me smile. 8. Words of affirmation mean a lot to me. 9. I like using my creativity in any way I can. 10. I played the violin for a few years as a little girl. 11. I never use an alarm clock in the morning now that I am a mommy. 8. Which do you prefer to wear, heals or tennis shoes? As a mom to a toddler: definitely tennis shoes, and in the summer I’m all about flip flops! 3. Do you prefer chocolate desserts or fruity desserts? 4. What is your favorite saying or quote? 6. What is your favorite ice cream flavor? 8. Are you a dog person or a cat person? 9. What is one of your hobbies? 10. Mountain hideaway or beach house? 11. What is your favorite cereal? IF YOU CHOOSE TO PARTICIPATE, I HOPE YOU HAVE FUN WITH THIS AWARD! Thanks again to Rose for this nomination and I also appreciate each of you for your readership!!! What a great list of blogs to be included in! Thank you for the acknowledgment Hannah! You are very welcome and you deserve it! Blessings!